Want a fun way to give back this holiday season and involve the whole family? Participate in our reverse advent calendar! 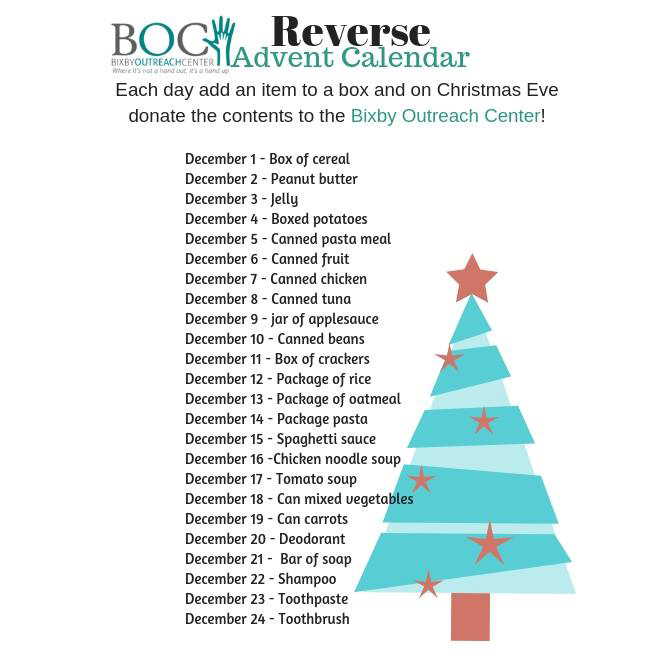 Collect 1 item each day and come donate to the BOC on Christmas Eve. Please feel free to share this with your company, friends, and family!